At the weekend, I went to see CN Lester and the Mechanisms in Oxford - and while both were entirely awesome, the latter is something I can talk about in an SFF way. (And yes, this is the first time I've used the music heading. Heresy!) 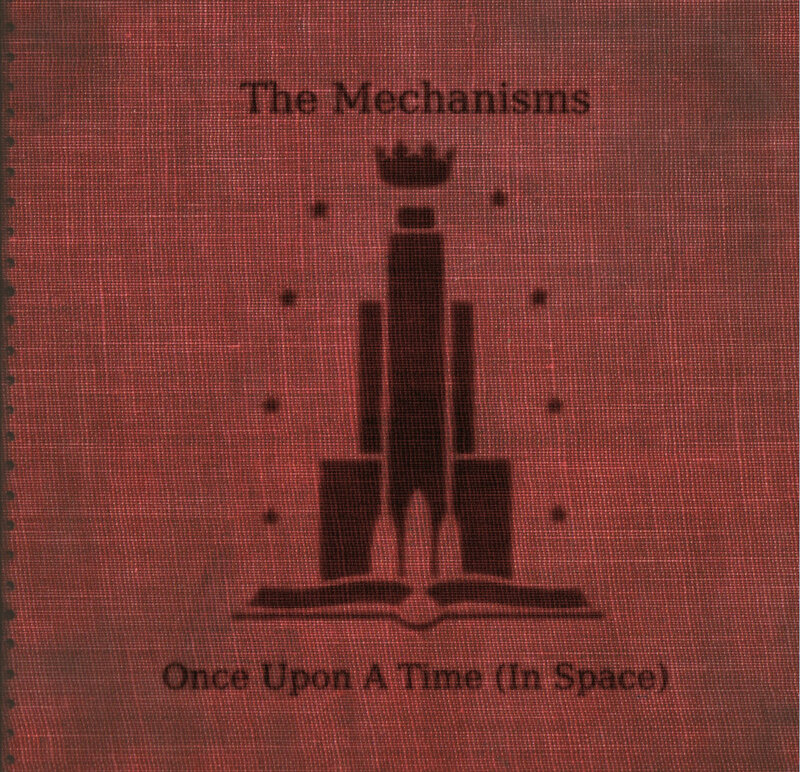 For those who haven't encountered them before, the Mechanisms are a band of - as their website puts it - "immortal space pirates roaming the universe in the starship Aurora. Some say they’re from a steampunk future, others claim they’re from a cyberpunk past, a few even whisper that they may be from a dieselpunk alternate now. They are all correct.". And their musical storytelling is similarly varied! So far, they've written three sets, as well as assorted individual songs: Once Upon a Time in Space, Ulysses Dies at Dawn, and their most recent, which debuted in December (which performance I sadly missed, but thankfully am now all caught up! ), High Noon Over Camelot. The first two can be streamed/purchased via their Bandcamp, while they've just completed a Kickstarter to record the third, which should be released this summer. You can listen to a live recording here. I first ran into a selection of the Mechanisms performing, as I recall, at Catweazle - or at least I remember the words immortal, space pirates, and steampunk, which tend to be a rare combination. Much later, some friends to whom I will be forever indebted (so long as that debt is payable solely in baked goods*) suggested I come along to a performance of their second set - and it was appropriately enough, amazing. Each member has their own persona, with the fictional crew usually participating to some small extent in the set stories - as well as telling it musically (in fact, they've even elaborated beyond the songs in some short fiction here). While not any full sets, there are also songs about the crew members themselves, some of which are featured in the Tales to Be Told album, but most of which are sadly unrecorded as yet. At any rate, said personas are generally extremely violent, have their own odd canon (involving the creation of their mechanical parts by their former collaborator, Dr Carmilla, as well as octokittens. I haven't really asked about them. I'm a little afraid to. Afraid and fascinated. ), and of course, costumes. The sets, meanwhile, each tell an overarching story - each with a unique setting. Once Upon a Time in Space is based on fairy tales (in space! ), with a brutal King Cole facing rebellion after kidnapping a skilled soldier from her wedding to a princess, Cinders. It's a lovely mashup, with a unique take on every figure - and of course, some spectacularly creepy ones. I will never look at the three little pigs the same way again. 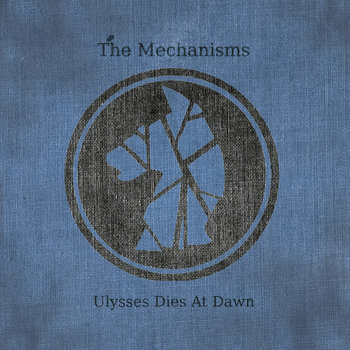 Ulysses Dies at Dawn crosses genres again - a dark (cyberpunk?) retelling of Greek mythology in a planetwide urban sprawl, where those rich enough gain immortality as Olympians, and the brains of the dead are harvested to provide computing power in the Acheron. The most recent, High Noon Over Camelot (which I saw performed on Saturday) is a western-inspired version of Arthurian legend set on a space station. As someone who loves a little genre bending (it's one of many reasons the Vorkosigan series is a favourite), it's great to see so much here. They're also frequently tragic... the suggestion of a possible happy ending got a laugh from other audience members. I shouldn't spoil too much for High Noon - after all, you can listen to it yourself. That said, bear in mind that the live recording doesn't yet compare to actually hearing it: you'll have to wait for the proper recording for that! What can I say? It's a fun twist on the Arthurian legends, an inventive setting, some stunning twists, and of course some horrendously catchy songs. Seriously. I still can't root Skin and Bone out of my head. It's been a week, dammit. So, if I haven't persuaded you so far, what else can I say about the Mechanisms? Well, they're good at telling stories with a diverse cast, which is always welcome in SFF, and particularly in the steampunk/dieselpunk/cyberpunk blend (whichever they are right now! ): lesbian romance, trans characters, and just a good range of stereotype-defying - all feature. Secondly, you can stream their music before buying, so it's well worth a go. Thirdly, those octokittens are really cute. Anyhow, that's my brief take on the Mechanisms - you can find their website here. *Okay, I pay all my debts in baked goods.